Hi!!! I’m Kristy from Libbie Grove Design…. thanks to Bulldog – Graphic Design Agency for having me on HOH while she’s off for a little summer vacation. 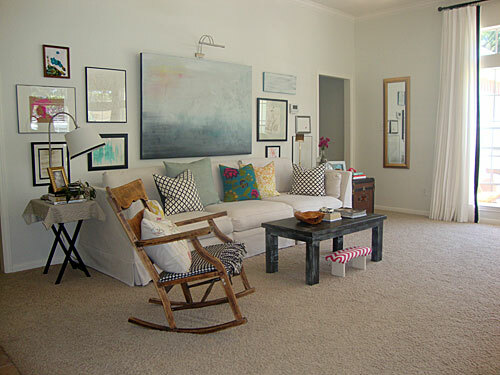 Libbie Grove Design is an outlet for me to share all the creative adventures that happen around my house. I have a passion for fresh design combined with comfortable living and as a wife and mother, I believe homes can be extraordinarily decorated and functional at the same time…. even with a tiny budget, kid’s muddy shoes, and rogue crayons. Most of my decorating incorporates re-purposed and re-styled furniture, handmade pieces, and art created at my kitchen table. My family and I recently moved to TX, so our new house allows me tons of space to explore and share decorating ideas on the blog, along with the steps I take to transform each room into a stylish living space for my family. Here are a few recent highlights of our house…. 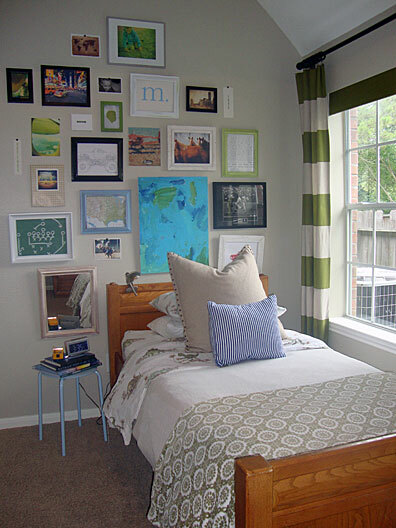 My son’s bedroom was the first room I finished decorating…. 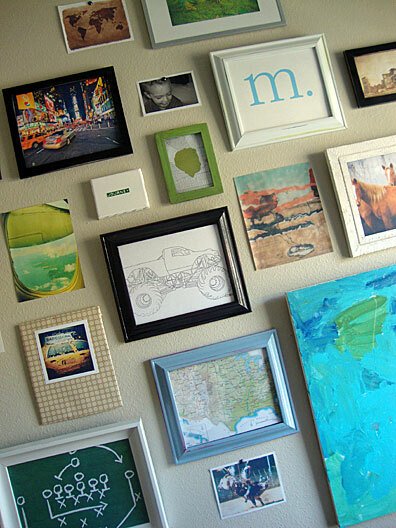 my favorite area in the room is the gallery wall. I love that it’s something I can continually update as he discovers more interests, creates new art or I capture a great moment on camera…. The living room is a work in progress, but so far my favorite project completed are the Ikea curtains that I updated with a simple band of black ribbon. I glued the ribbon to the edge and think the result looks a lot pricier than the actual cost. 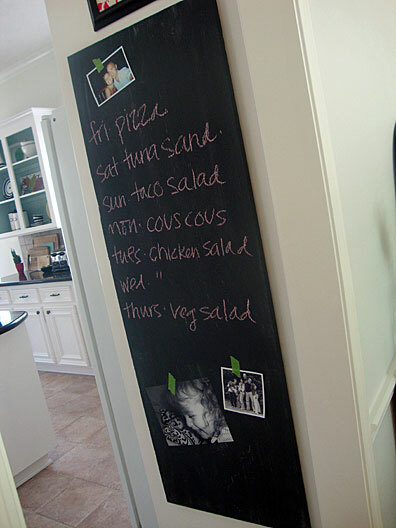 In the kitchen, the most recent addition that I’ve made is hanging a chalkboard…. I’m a list-kinda-person, so having an area to display things to do, the day’s schedule, a menu, etc, helps to keep me organized. 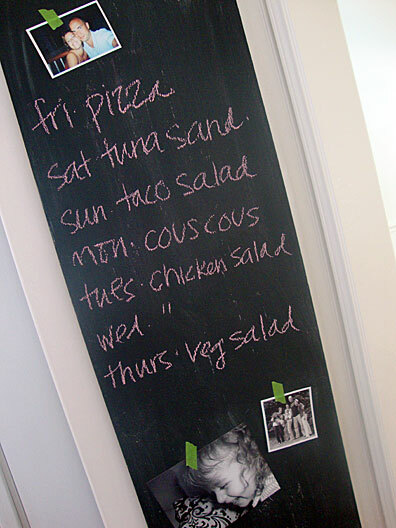 The board was a scrap piece of plywood and painted with black chalkboard paint (it was originally used as a headboard in a guest room in our previous house). I’m all for re-purposing furniture! Thanks again to Allison for having me today… I am always inspired by your blog!!! 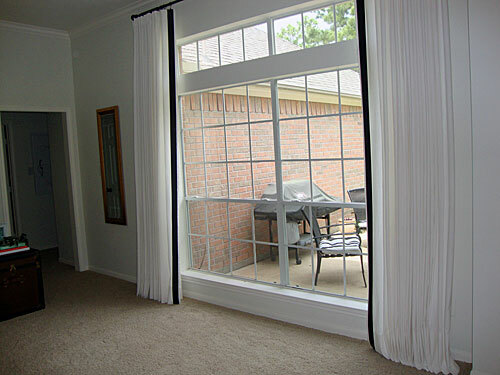 I invite you to stop by Libbie Grove Design anytime to see what’s new!! !